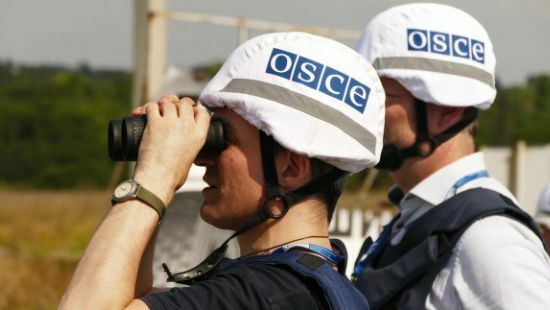 Observers of the OSCE Special Monitoring Mission (SMM) in Ukraine have recorded a decrease in the number of explosions in Donbas conflict zone from 19:30 October 30 to 19:30 on October 31. This was stated by the mission on the website. "In Donetsk region, Special Monitoring Mission has recorded fewer violations of the ceasefire - about 80 explosions, compared with the previous reporting period (about 250 explosions)," the report said. "At the same time, the number of explosions in Luhansk region increased - about 10 against three," - said the SMM. As it was reported earlier the 70th ‘humanitarian convoy’ from Russia crossed the Ukrainian-Russian border and arrived in Donetsk. OSCE press service reported this on Friday morning. The Russian emergency ministry sent to Donbas 12 trucks and five support vehicles. The previous convoy crossed the Ukrainian border in September 2017. Russia has been sending such convoys to the occupied Donbas since summer 2014. The Ukrainian government insists that ‘humanitarian convoys’ are merely a disguise for sending Kremlin-backed militants in Donbas weaponry, ammunition, and reinforcements; when the trucks come back, they presumably carry bodies of deceased militants and regular Russian troops. Neither Ukrainian border guards nor OSCE observers can examine the contents of trucks coming back and forth, as they cross the militant-held section of the state border.